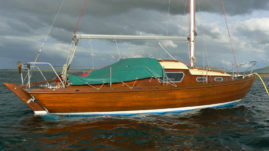 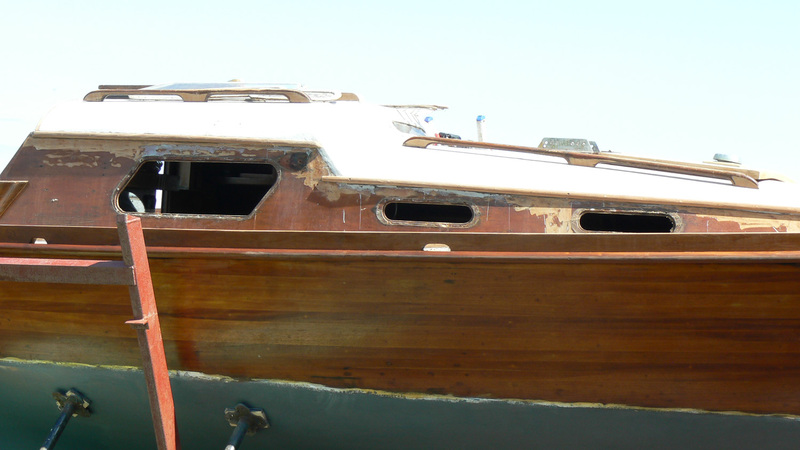 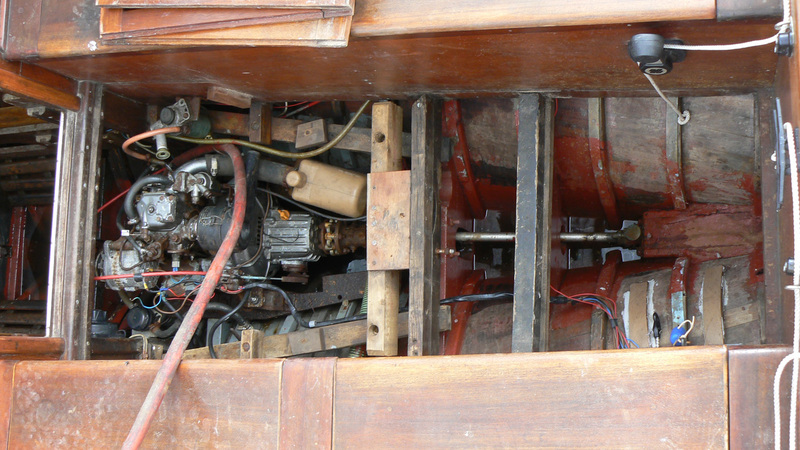 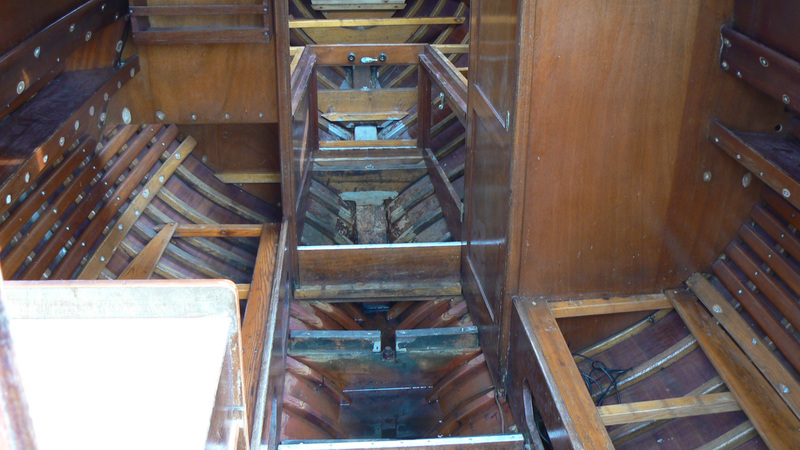 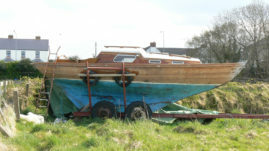 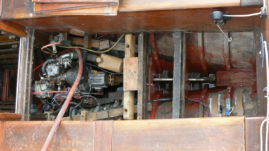 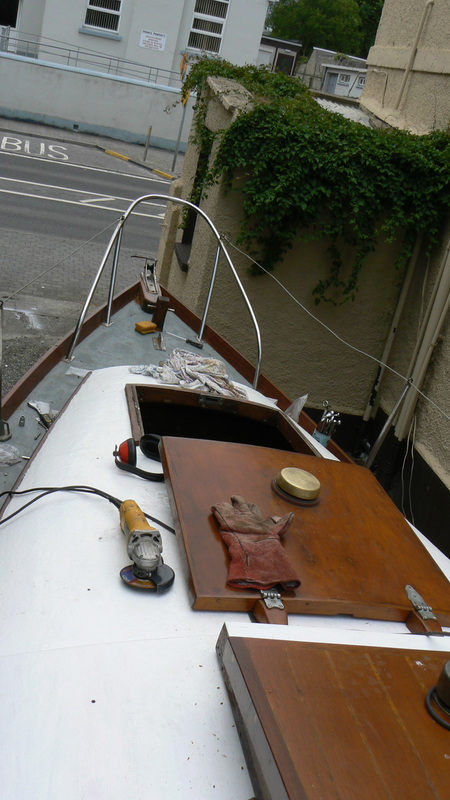 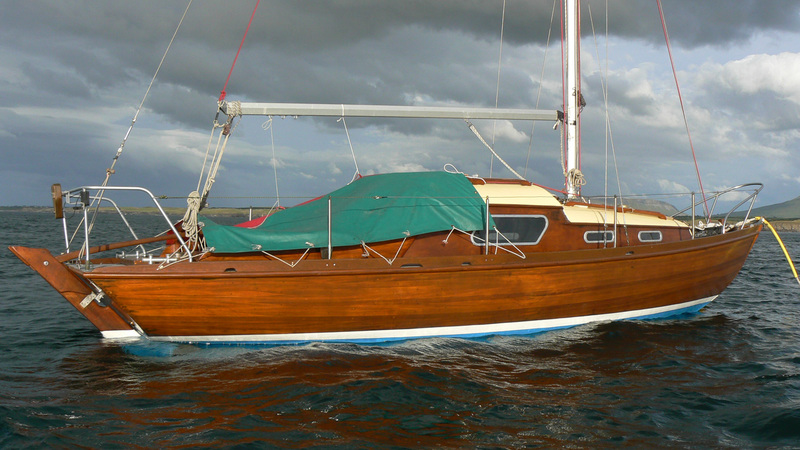 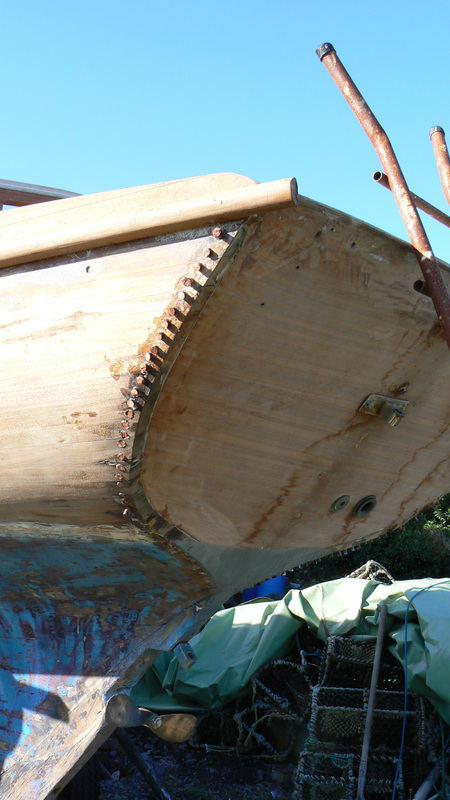 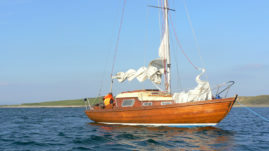 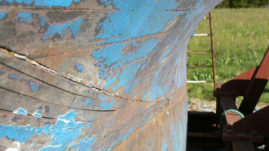 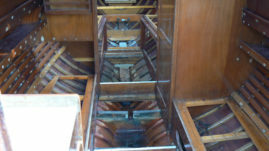 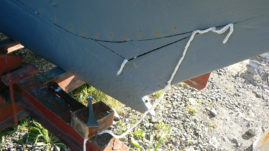 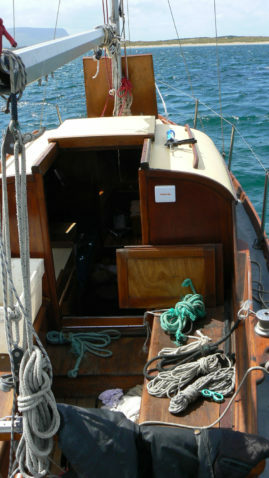 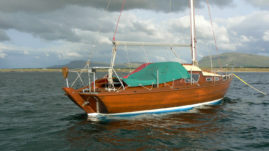 Nordic designed Folkboat “The Bandit Queen” built in 1967 in Rostock, East Germany from Mahogany on oak ribs. 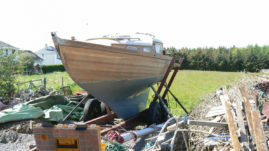 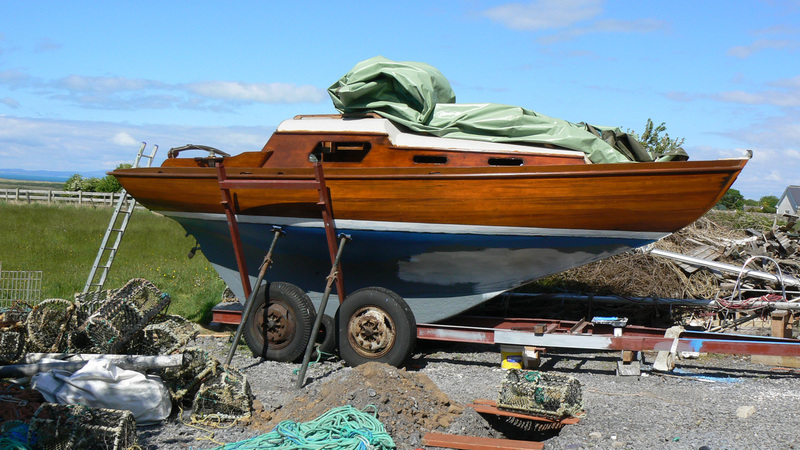 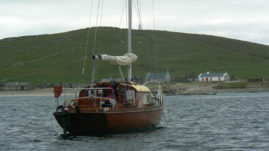 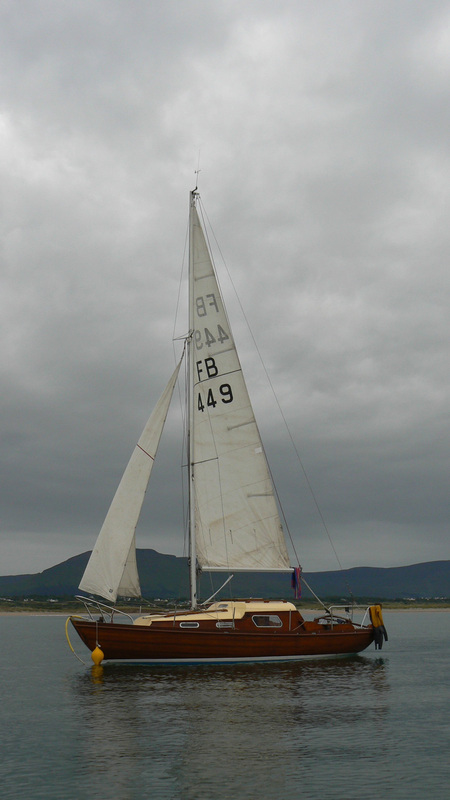 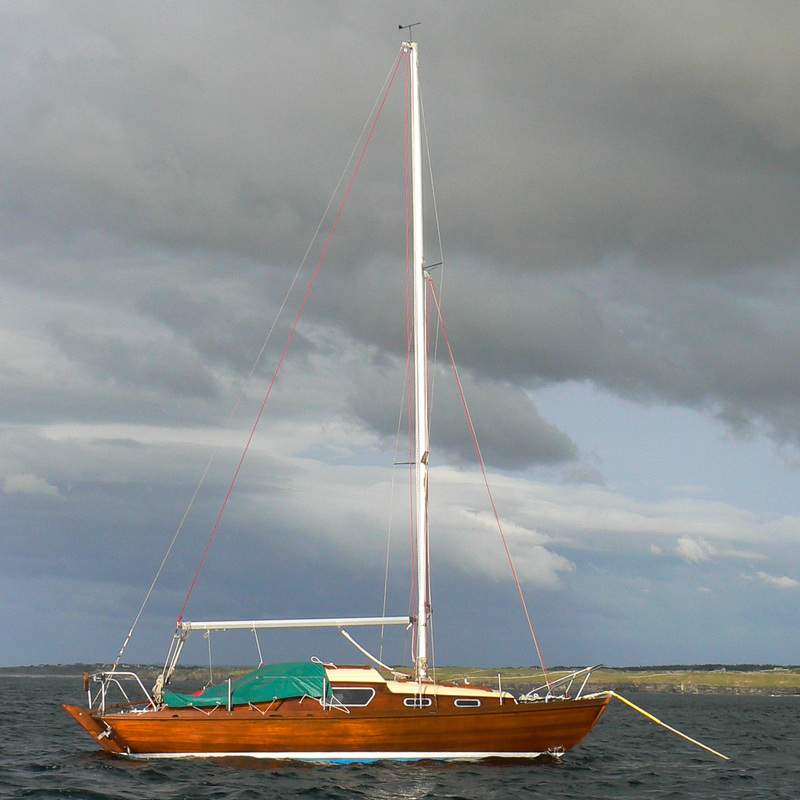 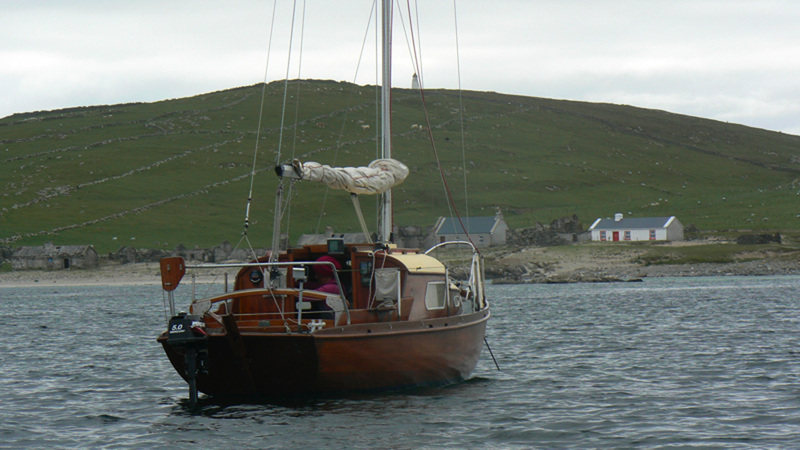 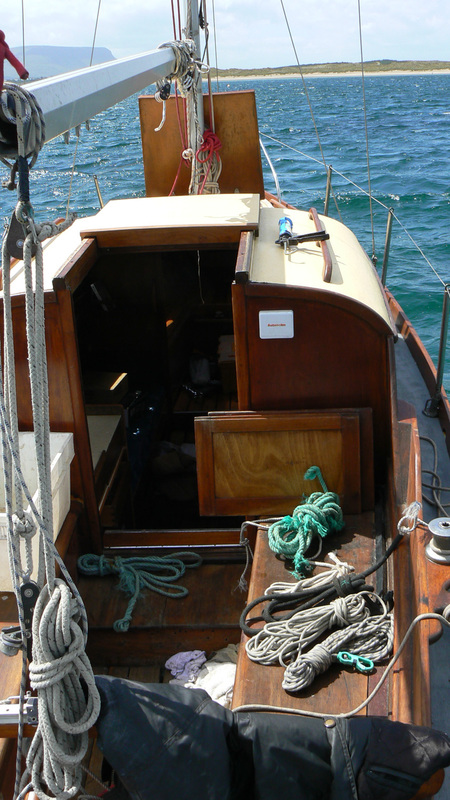 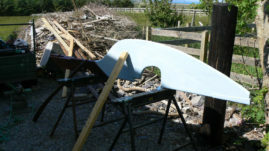 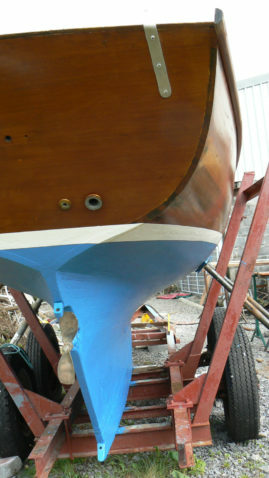 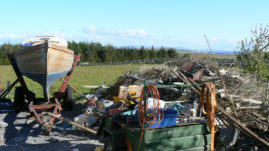 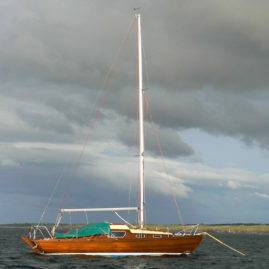 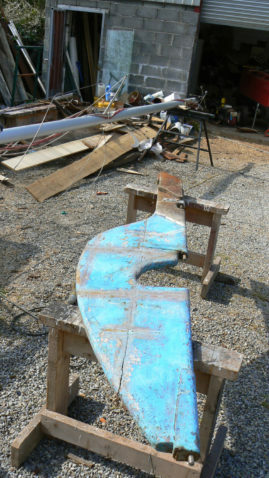 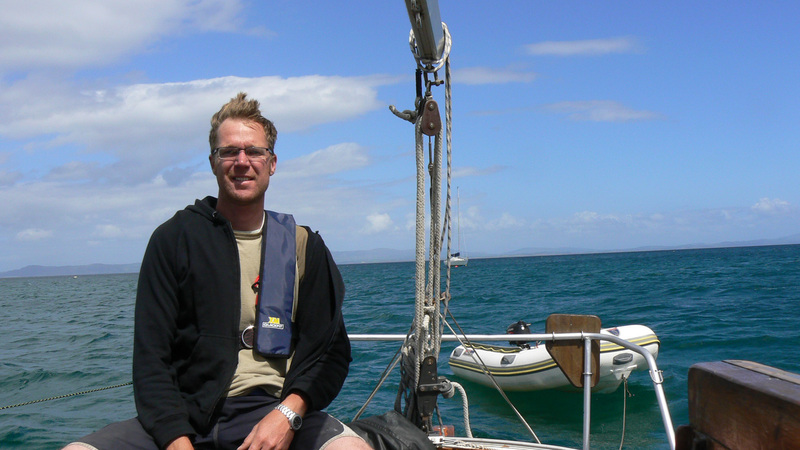 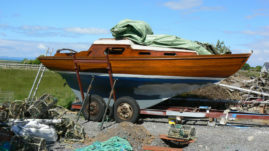 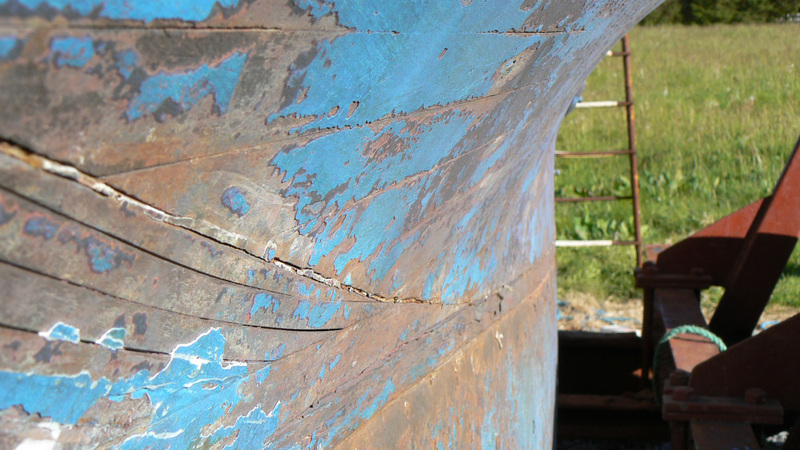 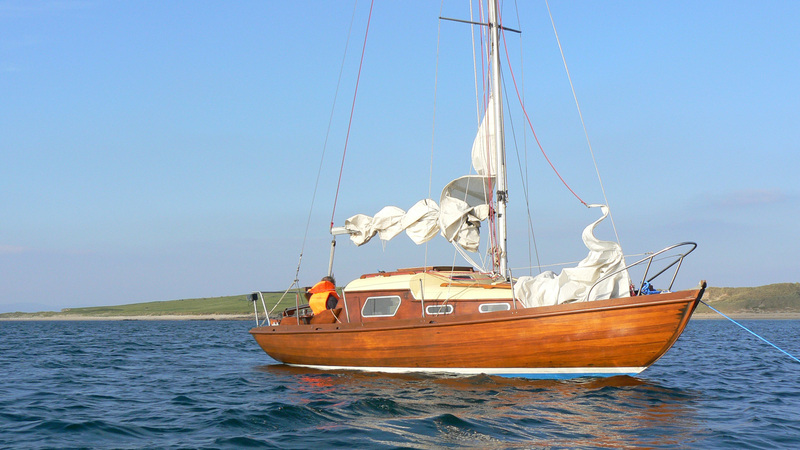 In 2010 I found her in a field, restored her, and had many great adventures sailing her up and down the northwest coast of Ireland. 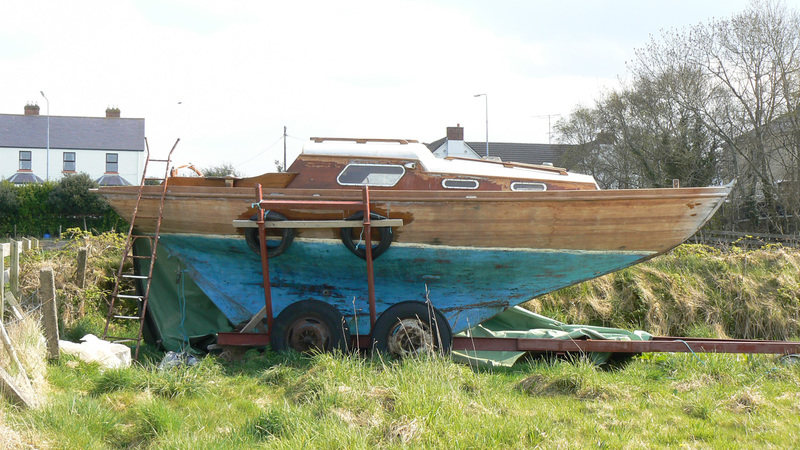 Later I sold her and she sailed away never to be seen again.